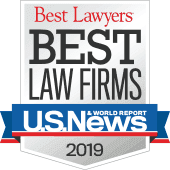 Medical malpractice attorney Krysia Syska empathizes with her clients, many of whom are struggling to recover from a life-altering medical event — such as a wife suffering from a misdiagnosis of cancer, or a baby with catastrophic neurological damage from a birth injury. "Sadly, my clients' lives are inextricably changed by their medical injury," she says. "My role extends well beyond the courtroom." 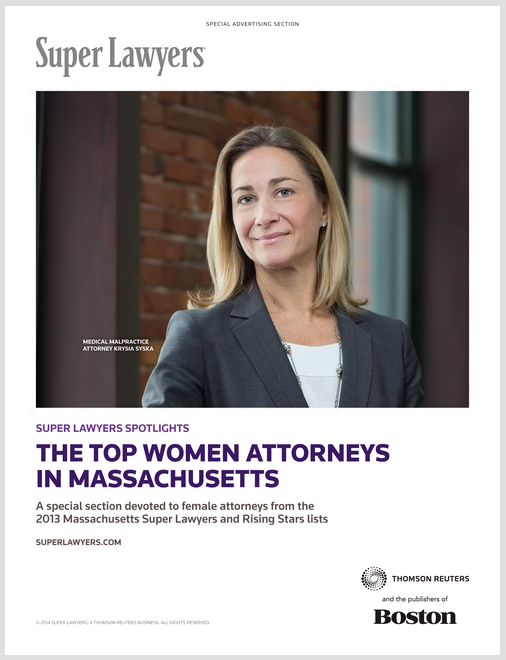 Syska, who was featured on the cover of the recent Super Lawyers Top Women Attorneys in Massachusetts, is recognized for obtaining maximum compensation for her clients and pulling in some of the Commonwealth's largest settlements. But that's only half the story. A big part of Syska's work is following through with the rebuilding of her clients' lives by connecting them to a network of professionals she helped establish — home designers, life-care planners, trust specialists, support groups and respite centers. "My clients are wives, mothers, sisters and daughters, all with families just like mine," Syska says. "It would be impossible to remain completely detached from their life circumstances. Their tragedy could be my tragedy. Appreciating what my clients have been through makes me a better advocate." Attorney Syska practices in Massachusetts and New Hampshire. See more about her practice on her attorney bio page.